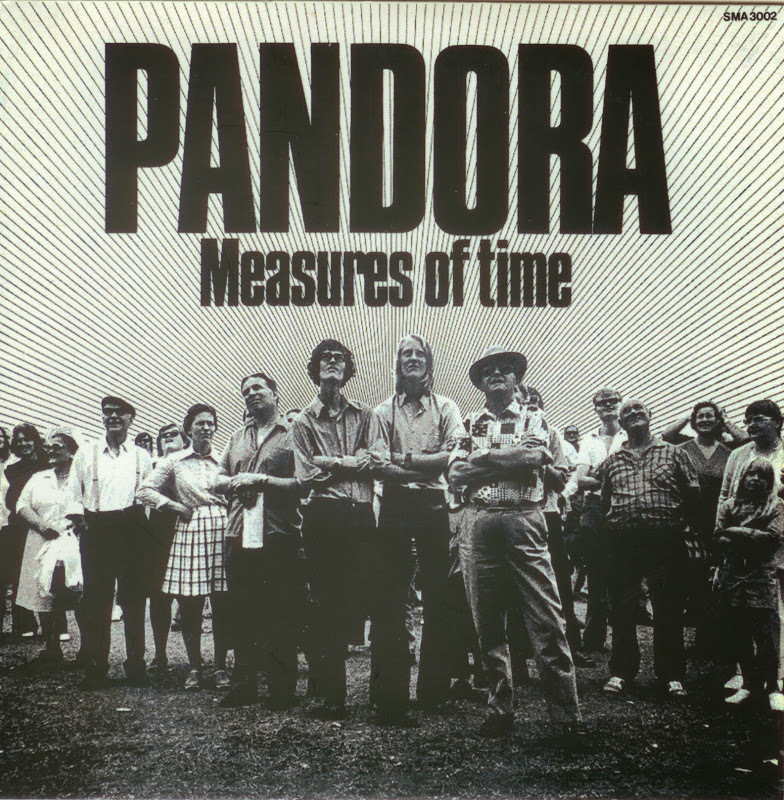 Pandora was founded 1971 in Norrkoping Sweden by drummer Bertil Jonsson and on guitar Urban Gotling. Later joinded by the singer Peter Hjelm and on keyboard Janne ”Flojda” Dockner. Gotling was replaced by Åke Rolf (fd H2O) and Leif Hellqvist. This line up recorded Measures of Time. 1976 Hellqvist quit. At the same time also Bjorn Malmqvist guit. He started study music. New members came: On keyboard Uffe Stern and on base Gunnar Hermelin (fd Madeira). This line up where 1978 on swedish radio "Tonkraft" and recorded the single ”Makten och Harligheten”. From the start Pandora played harder rock but went over to more jazz-symfonirock when Stern och Hermelin joined. Janne and Uffe and later Åke Rolf and Gunnar Hermelin continuied to play in ”Flojd & The Boys” that was in 75.